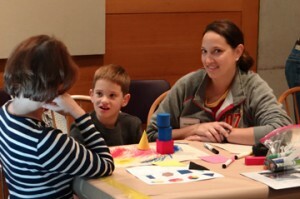 Family participating in Exploring Artism, Spring 2013. A free program for families with children who are five to ten years of age and on the autism spectrum, participants learn to look and respond to artwork in the museum’s galleries. Join us and engage in group conversations in the galleries, a follow-up art project in a museum classroom, and much more. 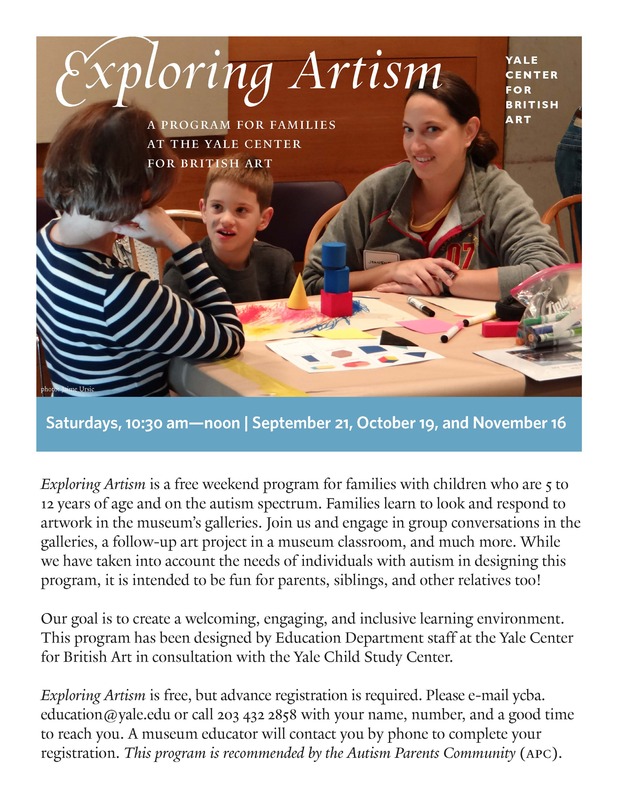 While we have taken into account the needs of individuals with autism in designing this program, it is intended to be fun for parents, siblings, and other relatives too! Free; pre-registration required. Please contact the YCBA Education Department (203 432 2858) with your name, number, and a good time to reach you by phone. A museum educator will call you to complete your registration.